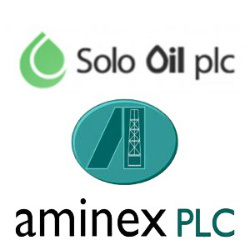 Solo Oil plc (AIM:SOLO) has received confirmation from the Tanzania Ministry of Energy and Minerals that they have no objection to the proposed deal to purchase up to a 13% interest in the Kiliwani North Development License (KNDL) for USD 7 million from the Aminex plc subsidiary Ndovu Resources Ltd. According to the Chairman and Director for Solo Oil Plc, Neil Ritson, the company is eager to move forward with the sale agreement. “The final step in the process of receiving approvals to our acquisition of an interest in the soon to be producing Kilwani North development has now been received and we look forward to signature of the gas sales agreement and to the start-up of the production in 2015,” he said in a released statement. The parties signed a binding agreement last month and have agreed to extend the deadline on the purchase of the initial and additional 6.5% to January 30, 2015 to account for the longer than anticipated time that was required to obtain the no objection notification. Completion of initial sale is still subject to a formal Deed of Assignment to be signed by all participating parties which, upon completion and if Solo chooses to take its full 13% entitlement, will make the KNDL joint venture partners Ndovu Resources Ltd. (Aminex) 52% (operator), RAK Gas 25%, Bounty Oil 10% and Solo 13%.